Let’s talk business directory listings, aka citations. You know, those directories like YellowPages, SuperPages, MerchantCircle and others. Their information comes from a combination of public data sources and user submissions. While verification of user-provided data has improved over the years, there are still some directories which are vulnerable to being spammed. Case in point: Here’s some Yellow Pages spam I stumbled across today. Funny how they all have the same web site, isn’t it? All of these except the “real” business were all unclaimed business and municipal listings. Someone went into their pages and “suggested an edit” that the URL be changed to the one for their Pizza place. Spammers like to change phone numbers and URL’s to send your traffic to their site. Why did I blur out the details? I have no qualms abuot “outing” the perpetrator, but I have no way of knowing who it was. Most likely a misguided webmaster or would-be SEO. The business owner probably never had a clue. Before you start thinking this is a clever way to get links, it’s not. Aside from the potential for damaging your reputation, populating these directories with inaccurate and inconsistent data, lowers your business’ level of trust in the eyes of search engines – i.e. Google. Trust and consistent data are important for local rankings. So the point I’m making is that its important to check and claim your business listings. Claiming your listings gives you the ability to change and update your own data and prevents spammers and competitors from hijacking your listing for their own benefit. Another plus: Many of these directories themselves carry some clout in search rankings. The default listings aren’t very attractive, but once you claim one you can add things to brighten it up – like a logo, pictures, additional information like business hours, or even special offers. These things help your listing stand out so it is more likely to drive people to your door. How do you claim them? That’s a post in itself (and one I plan to do soon), but you can start by doing a scan at Yext or MOZ Local. Both are paid business citation services, but the scans are free. They will show you sites where you have inconsistent data, unclaimed listings or no listing at all. For each site where you have NO listing, go to the site and search for their “add your business” link. For unclaimed listings, go to the website and search for your business – there should be a link where you can claim your listing. (Might say something like “Is this your business?”) Important: Don’t add another listing if you already have one! While this is tedious and time-consuming, claiming and adding a listing are usually free. The directory may try to upsell you to a paid option, but that’s really not necessary. If there are no free ways to claim your page, often there’s a workaround or at the very least a way to pay one fee for multiple listings. I’ll cover all this in a follow-up post, but for now make a note of the site and the fee so you can research it later and move on for now. At the very least, if you happen to stumble across your company’s listing while surfing or searching, take a minute to claim it and fix any incorrect information! So all links to that domain (including the URL on their Facebook page), now send traffic to a page that helps neither the business nor their customers! If you ever change your site’s domain name, update every link you control to reflect the change. No longer have a site? Change those links to point to the URL of your most active social media page. 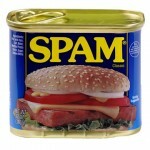 Hope this helps you avoid being a spam statistic! Any questions? Hit me up in the comments below.